Are you looking to build some a new structures on a block of land that is currently home to trees, rocks, or waste? 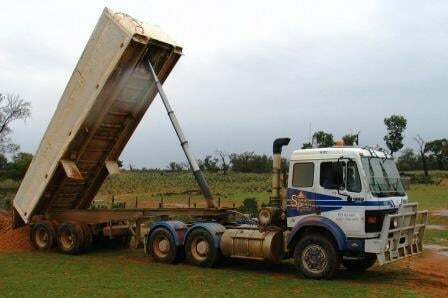 Then it sounds like you need to hire Earthworks contractors, and there’s not better contractor in Adelaide to help clear up the area, than Stoney Pinch. We can help you with your Earthworks project, whether the land is largely uneven, steep slopes, valleys or high surfaces, Stoney Pinch specialise in all Earthworks aspects and are happy to assist in preparing the land so that it can be level and ready for your project. Our work as the contractor is crucial to the overall integrity and success of your project and we take that responsibility seriously. Ensuring we provide our project partners with suitable land for whatever they intend to build. As such, we think it’s really important that you know the company you are looking to hire and ensure they are the best fit for the job. Certain qualities make up a professional and qualified Earthworks contractor. There are a number of things to consider before you hire; saving you time, stress and funds in the long run. Below are some of the qualities we think everyone should expect of a qualified and experienced Earthworks contractor in Adelaide. Any company or organisation with a track record of not meeting deadlines is not a company to rely upon. Missing deadlines can have unforeseen consequences down the line and all this can come at quite a cost. Notwithstanding that it forces the project delivery date to be undeservedly extended, inability to meet deadlines incurs further costs and it’s just not good business practice. In the end, you deliver your project outside of the deadline and that impacts on your reputation as well. Everyone wants their project completed ahead of time and under budget, however an Earthworks contractor who cuts corners is not the way to go. Of course, innovating and discovering ways to complete tasks more efficiently is a good attitude to have, it shouldn’t however, be the basis for work completed. In the end, you could find yourself exploding past the budget to fix any shortfalls or remedial works. Look to Earthworks contractors that respect the project and prioritise their team’s safety as standard procedure. We all do our research before buying a new house, car or signing a contract with a telecommunications provider, so why should choosing the right Earthworks contractor be any different? You should be applying the same research technique to hiring your Adelaide Earthworks contractor. It is important you verify your prospective contractors are appropriately licensed to complete the project and has the appropriate insurances in place. The absence of either of these important criteria could spell disaster for your project. Moving large amounts of soil, plant matter and rocks requires specific equipment to carry out different types of excavation and earthworks. Some of these include; bridge, roadway, and drainage excavation. A professional and qualified Earthworks contractor will possess or build into their proposal leasing any and all the necessary heavy-duty equipment required for the project including graders, loaders, bulldozers, backhoe etc.